NEPCA publishes a newsletter column titled The Cultured Classroom, which contains ideas of how to integrate popular and/or American culture into lesson plans. Some of those efforts can be found by following links from this page. Click here and scroll down for ideas on using Nancy Isenberg’s book White Trash in the classroom. Below it are ideas for Grateful Dead scholars. Click here for a query/review of Tom Brokaw’s Boom! and a discussion of teaching using flawed books. For comments on a course on teaching African-Americans and baseball, click here. 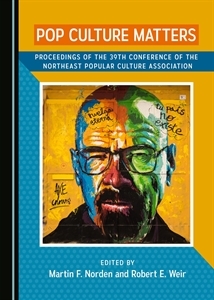 See Lance Eaton’s review of recent popular culture texts by clicking here. Rob Weir offers advice on making sure we give students enough information. Here’s a link to insiderhighered.com where the article first appeared.